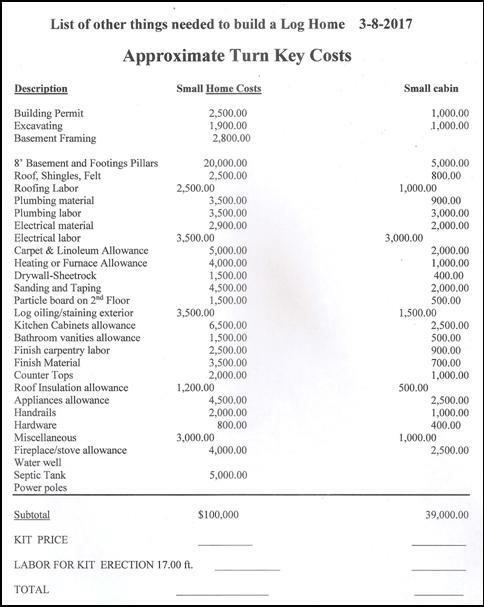 Cost to build a log cabin ? Who is going to build it, a Do-it-yourselfer ? Or hire it done ? Hire it done. Answer same as any new home ...100 a sq. ft.
Half, you and your wife will have a gay ole time on weekends working together. How much will it cost ? If you do it yourself and don't and have to pay any one for labor, then its just the material and you put together. 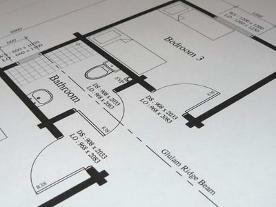 Say 50.00 a sq.ft. Now that varies on many things, size of logs, height of walls, pitch of roof, how many gables, crane time, how far from a 7-11, snow loads, building codes, road access, miles to supplies, weather conditions, your health, your experience, skills and your work ethics. The point is we don't really know for sure. But we are willing to work with you and come up with a budget. We / You have to have a figure in mind. 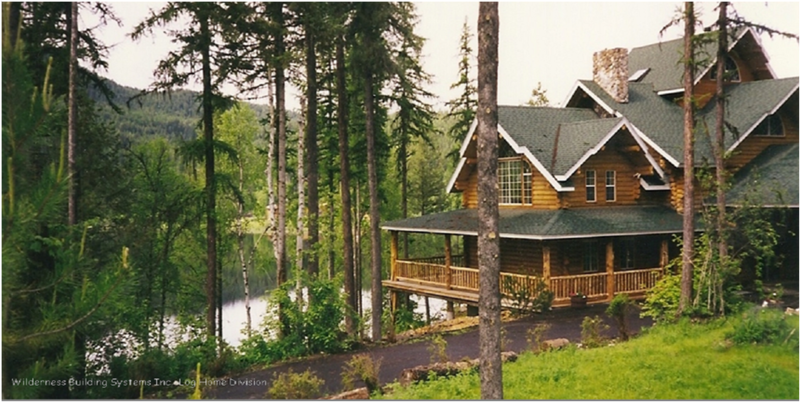 What we do is sell dreams here, so let us work bringing together all your desires and budget in this new Log Cabin Home. We can show you how to achieve the look and feel you desire at the most reasonable labor cost efficient construction techniques possible. So use our design, engineering, construction experience to help you get the most value, fastest construction, using the “Worlds Strongest Interlocking Log Wall Construction” Best Wood, air tight seal, and virtual no settling... 6% moisture content logs before milling. 1. 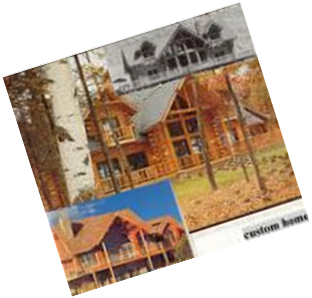 Gather together your, sketches, pictures magazines photos, wish list, your Scrap Book of Log Home Dream Ideas. 2. Budget ...use ours as a starting point. We can refine it later when we know where, what, when, how your building , distance far from a 7-11 and price of construction in that area. 3. 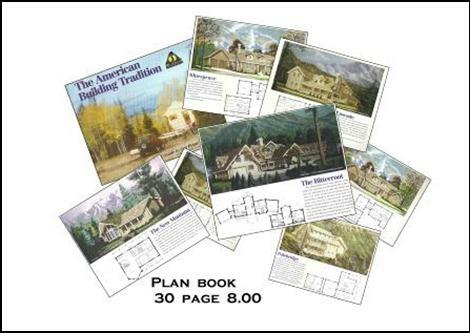 Plan... Use one of ours again as a starting point, find one close, we can modify it to different floor plans, roof styles, logs, lots slopes, ect then we can redraw a custom plan from that...we are just starting. 4. Make an appointment to come in and sit down and lets put it all together, we will explain the different construction and labor costs involved with all the different ways to achieve your dream. I have a couple questions. I have been talking with the county i.e. Snow load, wind shear, seismic ratings, R-value etc. My question is when you and I talked, you said if I chose one of your packages that was already engineered, it would keep the cost down. 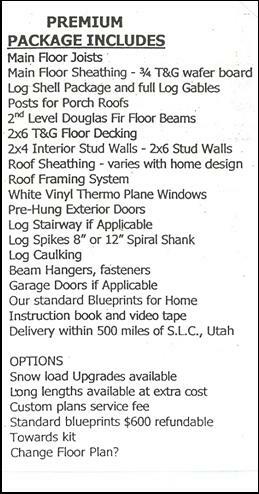 Are your packages engineered for Utah and what about foundations? Obviously you're in the business of log cabins and not cement, but do you have a contact person that can help me get plans for an engineered foundation, do you have an idea of expense to draw and engineer this? Boy I am confused as to where to start to get this project out of my head and going. 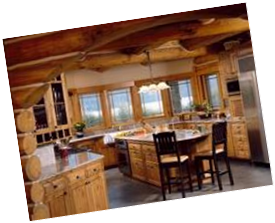 Hi, we do do Log Homes here, but with that being said...Wilderness Building Systems since 1976 is committed to helping the customers have “a cabin/home dream come true.” We are aware you are worrying about the scary unknowns, mostly over budgeted costs. BUT we know of the unseen expenses, headaches, changes, code updates, building inspectors, and all the unpleasant surprises/trials that come with this building experience/adventurer. Dad taught, and I teach my kids, “there is no substitute for experience” ...and we won’t pull the punches just to make a quick sale by hiding the facts! Capitalizing on your inexperience. 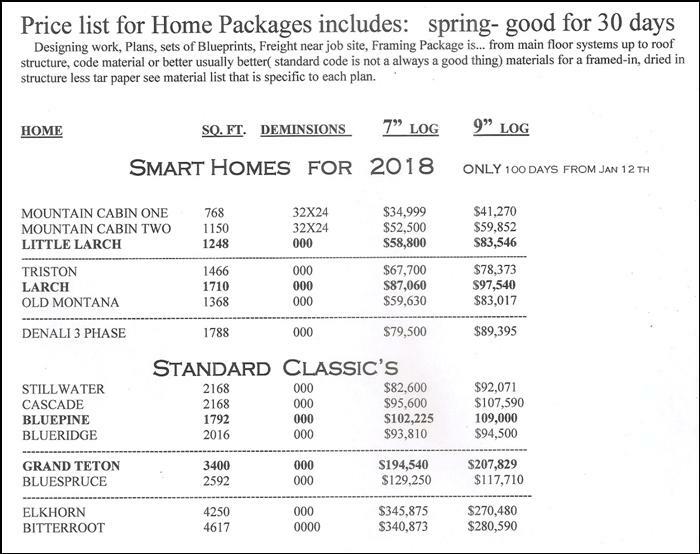 Log Home sell their selves, we would like to be friends after this is completed. We built thousands of homes with customers like yourself, and really can prove that! Most others just say it! So this new adventure/partnership/friendship, rest assure Wilderness Building Systems will try to bring years of Joy and Happiness for you, and family during construction and then hundreds of years into the future .... So we use our extensive experience in helping our customers with building it right, Mantanice free, fire proof, bug tight, and weather resistance as possible. We want to be friends after this is long done and all bills have been paid. You may/will of changed directions a few times, seeking a better way, you’re about to learn a lot taking on this building project, we been doing this 40 plus years. Pick a team you know can trust with your best interests. Others wont remind you about the taxes, maintenance, security, energy efficiency, curb appeal, resale value we design with it in mind... that's part of the/our package weather you realize it now or not. 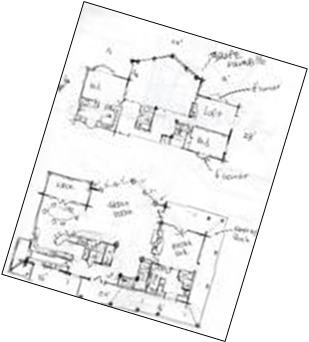 ...So here is some of what we do after we sell a “kit"
Blueprints: any one can draw, (drafting 101)   then copy, simulate plans but for the onsite wisdom... there is no substitute for experience. Parking, camping, activities for family events:   there's more, you get the point, shopping/buying a "kit"
Think upon it and you decide. Here is what I need to assistance you. 1) A budget so we know where not to let you go or over,  a "kit" may cost 40,000 but 240, 000 may be needed to get it in place and turnkey installed. 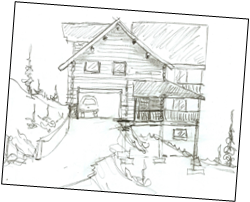 2) A plan, bedrooms, stories, basement, loft, Kitchen, heating, decks or porch roofs? 4) Build-it-yourself VS: Hire it done or  “both"
PS don't wait till spring to start the process... You’ll miss a year start the process in January!